At The Natural Sleep Store we love all things organic, especially products that create a healthier sleeping environment. We also like having lots of organic options to choose from. 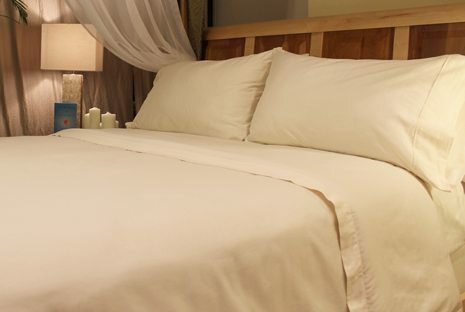 The Natural Sleep Store would like to introduce one of our newest products—Sleep and Beyond Organic Cotton Sheets! We are big fans of Sleep and Beyond because of their dedication to quality and providing organic, environmentally friendly products; their sheets are no exception. They are made from 100% organic cotton sateen for a soft, yet durable feel. At 400-thread count, these sheets have the highest thread count of all that we carry. The fitted sheet has an 18-pocket depth to fit some of the thickest mattresses, and reinforced elastic around the edge for a good fit on thinner mattresses. The flat sheet is stylish with a clean 1.5” hem along the top, and ½” hem along the sides and bottom. We are excited to feature the Sleep and Beyond Organic Cotton Sheet Set as our current giveaway—just in time for the holidays! You choose the size: Twin, Full, Queen, King, Cal King. Contest runs through December 15th. No purchase necessary to win. Congrats Katherine Hunter, you won this contest!